Once you have settings you are comfortable with on an existing character, you can easily import them to any of your other characters on the same shard. 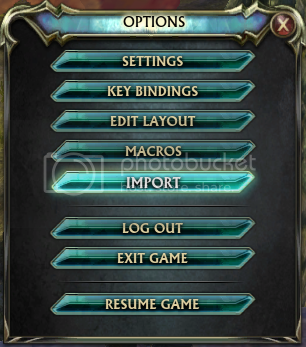 First bring up the Main Menu (ESC) and select IMPORT. 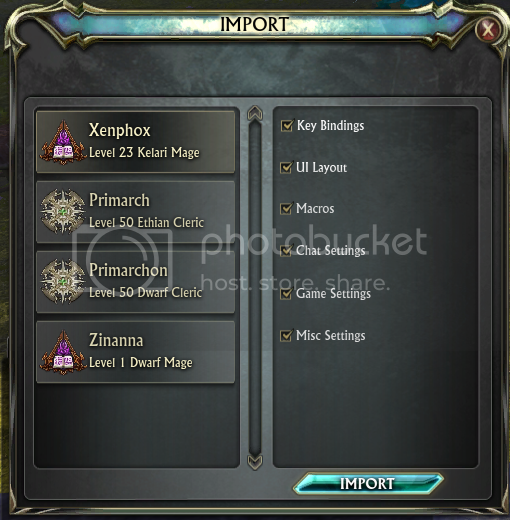 This is the Import menu. Select the character you wish to import settings from, and select the settings you wish to import by checking off the appropriate categories. Now just click the IMPORT button and you're good to go! In order to import your UI settings from a character on a different shard, use the /exportui command on the character that you wish to copy from. This will save it to a file named UI.dat in your Rift directory. 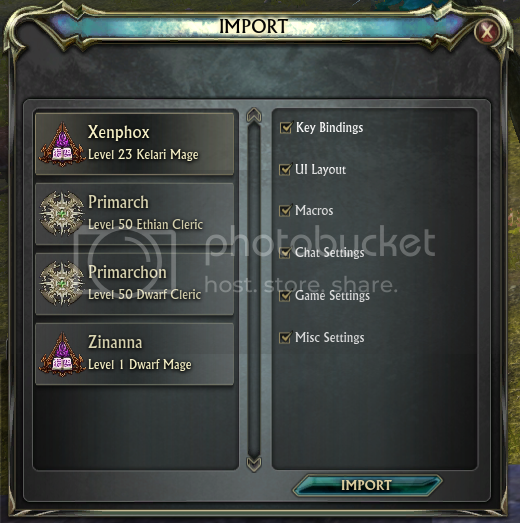 Then, simply log on to your other character and type /importui. This will load thesettings that were saved to that UI.dat file.